Please join Brandy Purdy and HF Virtual Book Tours for The Ripper’s Wife Blog Tour from October 27-November 14. 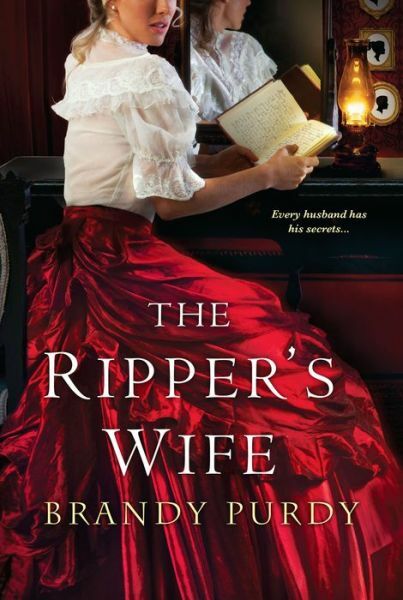 A suspenseful, spellbinding novel of love, jealousy, and murder, The Ripper’s Wife re-imagines the most notorious serial killer in history through the eyes of the woman who sealed his fate. It begins as a fairytale romance–a shipboard meeting in 1880 between vivacious Southern belle Florence Chandler and handsome English cotton broker James Maybrick. Courtship and a lavish wedding soon follow, and the couple settles into an affluent Liverpool suburb. This is a wonderfully vivid and rather disturbing tale that serves as eye opening proof that "all that sparkles isn't gold." Young Southern Belle Florance Chandler has been raised with a silver spoon in her mouth and the stars in her eyes. When she is literally swept off her feet by the refined charms of a much older English cotton broker, she is sure that the charmed life to which she has become accustomed is destined to continue. Little does she know that the man to which she has given both her heart and her future is a monster of the likes the world has never seen, and every promise he makes is a lie. This is a story that grabs the reader within the first hundred pages and never lets go. Unlike most great stories however, it is not the protagonist/narrator that gives the story its feet. That job is left to her husband, one James Maybrick and a host of colorful and quirky supporting cast. Despite the fact that leading lady Florance comes across as a very sympathetic character at times. Her reactions to the horrific happenings and realizations that she experiences make her seem a very self serving and vapid being for the most part. Though it is true that Florance's character may be rather off putting, the story, writing, setting, and premise are all first rate. This is a wonderful look into a life scarred by addiction, lies, madness, and murder. Brandy Purdy is the author of several historical novels. When she’s not writing, she’s either reading or watching classic movies. She currently lives in Beaumont, TX. 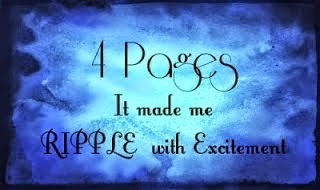 Visit her website at http://www.brandypurdy.com for more information about her books. You can also follow her via her blog at http://brandypurdy.blogspot.com/ where she posts updates about her work and reviews of what she has been reading.